The Canadian drugstore brand Annabelle Cosmetics recently launched the Big Show Lip Lacquers. 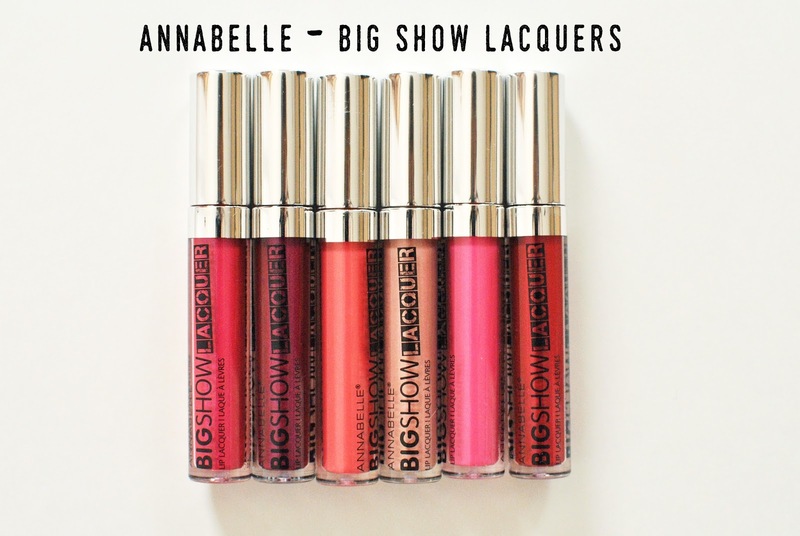 Famous for their popular lip gloss, the Big Show Lip Shine, Annabelle created a highly pigmented, high shine gloss with a stain-like effect. These should not be mistaken for liquid lipsticks. They are definitely not. But they are very pigmented for lip glosses and leave a pretty stain on your lips after the shine has worn off. All in all, at $10 (and on sale now on annabelle.com for less than $5!) they are definitely a win. Love the Adore Simply! Such a pretty light pink!